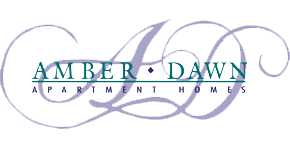 Welcome to Amber Dawn Apartments, a community of luxury apartment homes professionally managed by American Equity Properties, Inc. Here you will find one, two, and three bedroom floor plans featuring spacious living areas, large walk-in closets, fireplaces in select units, and much more. At Amber Dawn, you'll enjoy relaxing in our sparkling swimming pool surrounded by well manicured grounds. We invite you to experience life at Amber Dawn. You'll love it and want to make it your home.